For a more updated version of this article, please visit our knowledge base here. Managing an NTFS file server using JumpCloud is very similar to managing permissions with Active Directory. The main difference is that the JumpCloud agent is deployed on the file server to maintain local accounts, instead of granting permissions via domain accounts. 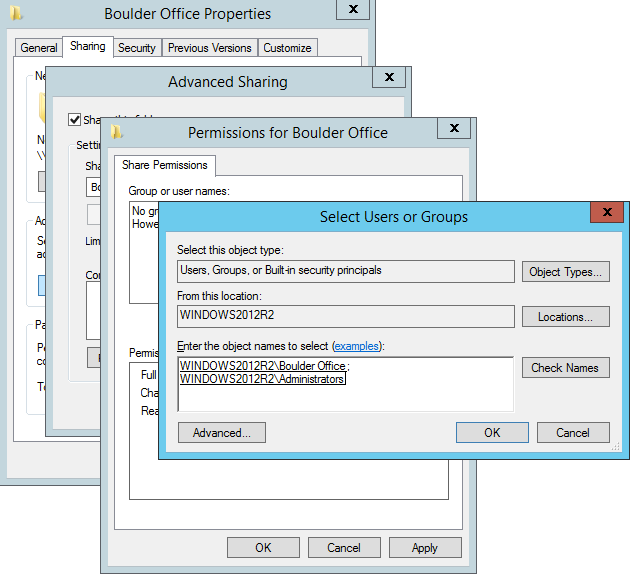 Access to a given folder is granted by defining local groups, then adding the local user to the appropriate local group. An NTFS file server. This TechNet post explains the process of setting one up. Installing the JumpCloud agent can be done via various methods. Our knowledge base article will walk you through the basics of installation. 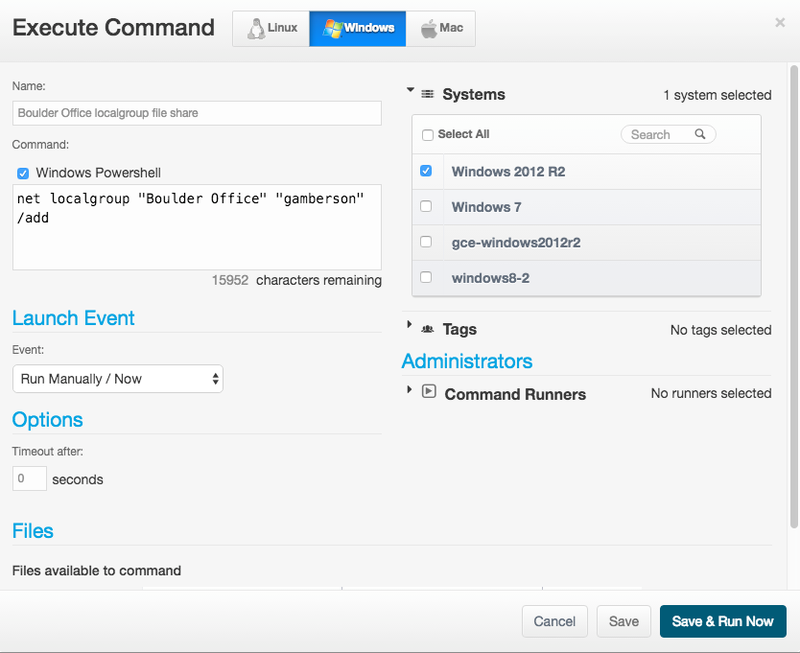 Depending on the scope and size of the environment, and if configuration management software like SCCM or psexec are being used, it would be worth checking into the command line methods to automate agent deployment. There are various ways to bind users to systems. In our case, we want to bind the same user to 3 different systems. Since this is a one-to-many relationship, it’s easiest to use Tags for this. We’ll call this tag ‘File share users’. 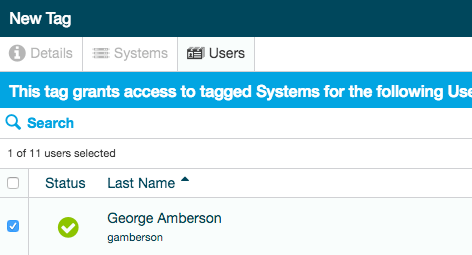 The tag name is arbitrary, so you’re free to name it something that falls under a different naming convention or would be more meaningful for your organization. Next, select the systems that the user will be bound to. We’ll select the three systems we’re working with today, our file server and two client systems. 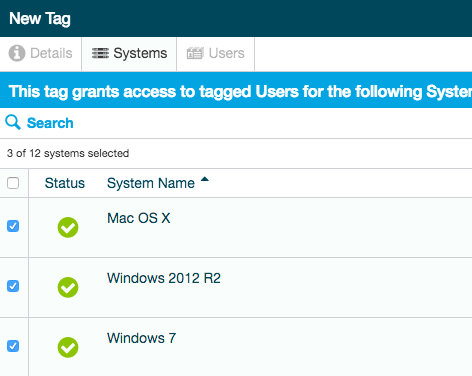 Finally, let’s tag the user that we want to have access to the file share and save the tag. Once saved, within 60 seconds, the user will be provisioned as a local account to the systems that have been selected. Since the user we selected is not a Global Administrator in JumpCloud, that means the account will be provisioned as a member of the ‘Users’ group on the systems. We don’t want just any user to be granted access to the share, so let’s define a specific group that will have access to our share and the share itself. 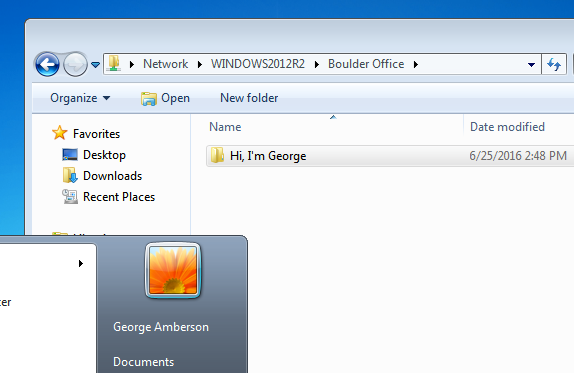 We’ll create a group and folder both called ‘Boulder Office’. 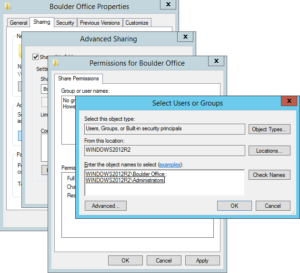 If using the GUI is preferred, User and Group management is explained here. Since we only need this to run on the file server, select the Systems Drop down and check the file server. The command is now ready to execute, select “Save & Run Now”. The command may take a minute to complete. Once done, we can find the results in the Console and confirm the change has been made on the server. For our Windows 7 system, accessing the share should be very familiar, the user is logged into their system and they simply go to the proper network path in Windows Explorer. The NTLM service passes along our credentials that are synchronized between client and server and access is granted. A more robust example of mapping network drives dynamically can be found on our knowledge base here. Further documentation on using the ‘net use’ command can be found on TechNet here. OS X users can access this share using the Finder. Open the Finder and select Command+K to open the Connect to Server dialog. And access is granted. The folder is managed just like any other folder in the Finder. 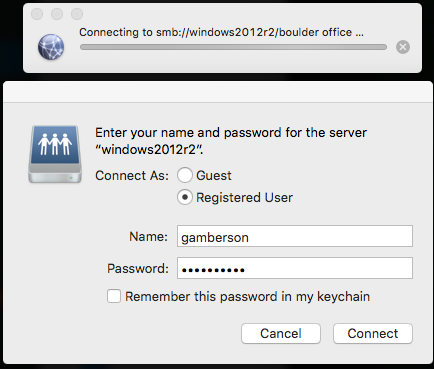 If it’s desired to configure this share for automatically connecting at login, be sure to enable ‘Remember this password in my keychain’, then add the volume to the Login Items list. Go to System Preferences > Users & Groups. Select your user account and the Login Items on the right. Click the ‘+’ and select the share. It will be added to the list and mount upon login. That’s all there is to it. Depending on how often users are onboarded, the process can be mostly automated between leveraging Commands and provisioning users using the JumpCloud General Access API. Happy file sharing!